MANILA, Philippines - PO1 Hefner Doble was cooking breakfast at a police station in the town of Pintuyan in Southern Leyte when a mayoral candidate came in and handed him an envelope. Printed on the envelope was "Oging-Mian," the nicknames of brothers Roger and Damian Mercado, the incumbent governor and congressman, respectively, of Southern Leyte. The brothers switched positions in the recently concluded May 13 elections. Roger ran for governor while Damian eyed the congressional seat; both won. 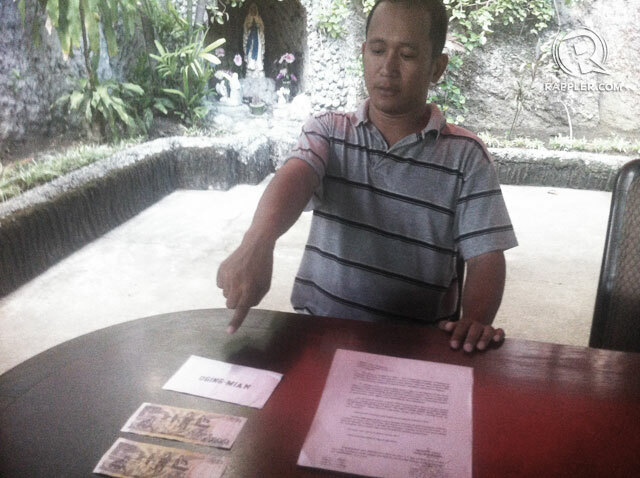 Enclosed in the envelope were two P500-peso bills, Doble said. "I knew right away that it was a blatant attempt at vote-buying by Estrella. I wanted to arrest him right then and there for violation of the election laws," Doble said in an affidavit submitted to the provincial Comelec. The 32-year old policeman didn't arrest Estrella. Not only was Estrella a former police officer. He is also the husband of the incumbent mayor, his wife Celsa Estrella. The Estrellas are close allies of the ruling Mercados, one of the enduring political clans in Southern Leyte. Estrella ran and won under the winning Mian-Oging ticket of the National Unity Party (NUP) in the May 13 elections. Doble said he decided to accept the envelope, telling Estrella: "Why are you giving me this? Christmas is over and it's not yet my birthday." When Liberal Party gubernatorial bet Marisa Lerias campaigned in Pintuyan a day after he received the envelope, he thought it was a chance to expose vote buying. He waited for the candidate near her car and told her about the envelope. Doble's affidavit was part of a complaint that Lerias filed on May 11, accusing the Mercados of distributing envelopes that contained money. The policeman is now in Manila with his family for fear of their lives. Lerias, who lost to Gov Mercado in the recently concluded congressional race and in the 2007 and 2010 gubernatorial elections, claimed the Mercados spent at least P300 million as opposed to her P 1.5 million campaign expenditure, another allegation which her opponent denied. 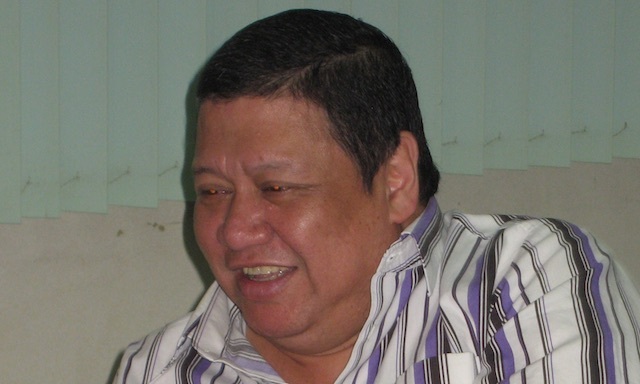 Mercado vowed to prove Lerias wrong once he submits his statement of contributions and expenditures to the Comelec. "We don't have that huge amount of money. Our expenditure was enough to maintain our campaign," he said in Filipino. The Leriases and Mercados were former allies but parted ways in 2007 over disagreements on who would run in the 2007 gubernatorial and congressional races. During the falling out, former President Gloria Macapagal-Arroyo favored the Mercados, according to Lerias. Lerias is now accusing the Mercados of resorting to massive vote buying, using their reported hefty campaign war chest to continue their rule over the 4th class province that has least 254,000 registered voters. Gov Mercado said he has not yet read the complaint but dismissed it as mere political gimmickry of the Leriases when the campaign hit homestretch. "That allegation is fabricated. Anybody can say and do that," Gov Mercado said. The NUP standard bearer cried "political harassment," noting that his opponents belonged to the administration party. The newly elected congressman reminded Lerias to check the voting behavior of their constituents in the past 3 elections, stressing that the successive victories of the Mercados could not simply be a product of vote buying. It was the local Liberal Party that suffered a major setback in the 2013 mid-term elections with only two of its bets winning high positions - vice gubernatorial candidate Sheffered Tan and his wife, Emie, the incoming mayor of the town of Sogod. Another witness, who filed an affidavit about alleged vote buying by the Mercados and their allies, supported Lerias' allegation. 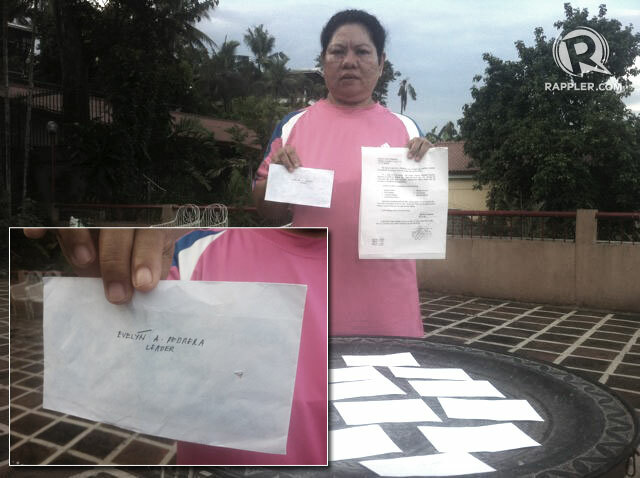 Evelyn Pedrera, a 46-year-old council member of Bgy Canturing in Maasin City, claimed that the barangay captain gave village officials and other trusted residents at least 582 envelopes, each containing P 1,000 in cash. According to Pedrera, Canturing barangay captain Felicisimo Taborada revealed that the envelopes came from the Mercados, who reportedly instructed them to vote straight for the NUP bets. "If it came from us, why would we give her the money. Will we give money to our enemy?" Gov Mercado argued in his party's defense. In her affidavit, Pedrera said that Taborada instructed them to personally distribute the envelopes marked with names of most of the nearly 600 voters in the village. "It had to be given personally to the recipient because other family members do not receive their share if the money is given to the father or husband, discouraging them not to vote," Pedrera told Rappler in a mix of Filipino and Bisaya. Those who got money were monitored if they indeed voted for the NUP bets, according to Pedrera. If they were suspected to be undecided voters, they were accompanied by loyal NUP supporters when they cast their votes - a buddy system called "2 in 1," Pedrera added. Pedrera received 22 envelops but distributed only 7. She gave the rest to Lerias' camp after her conscience bothered her, Pedrera said. Pedrera also said, almost in tears, that she wanted to clear her name after those who did not receive the envelopes accused her of pocketing the money or using it to buy rice. Like Doble, Pedrera fled Southern Leyte with her daughter and her 4-month old granddaughter for the safety of her family, leaving his husband, a tricycle driver, and his son behind. 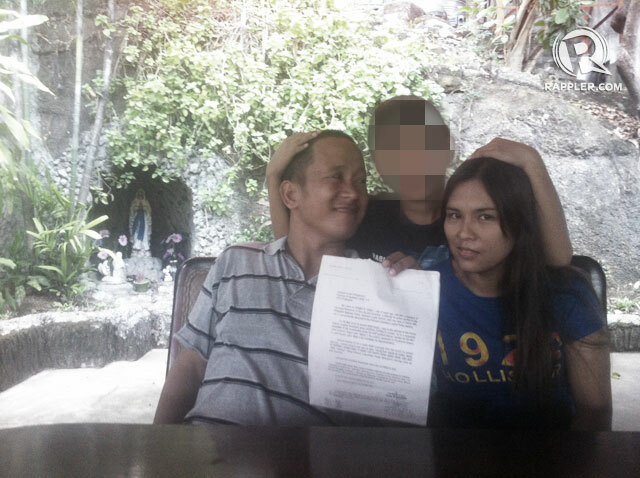 She joined Doble who also left the province together with his wife and 9-year old son. Doble said he wanted to enforce the law that ordinary people like him and Pedrera believed in. He said he was inspired by what President Benigno Aquino III said when he visited Maasin City in April 26. "Kung gumawa kayo ng tama, maraming salamat. 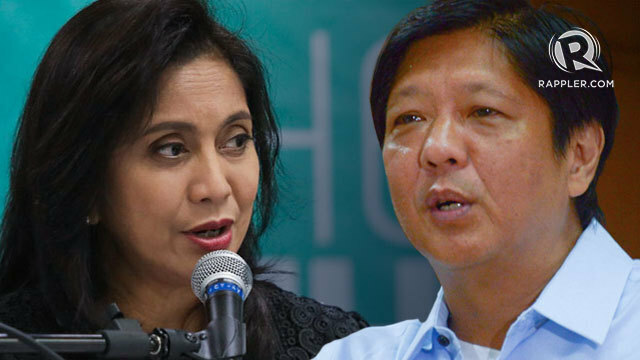 Kung gumawa kayo ng kamalian, humanda kayo," he recalled Aquino saying. (If you do good, thank you. If you do wrong, be wary).